2011 was a very good year for the C-Beams duet. As most of the Dresden boys involving into the trendy label (in the good way) Uncanny Valley (Jacob Korn, Cuthead, Credit 00, Stefan Lohse…) Stefan Menzel and Sebastian Lohse (aka Break SL) are now out of the woods with their appearance on Smallville records, and their first Ep on Uncanny Valley. 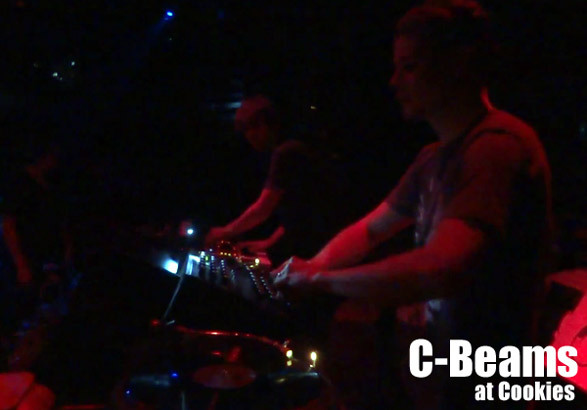 The label has benefited of a big (and well-deserved) support from the German press and Resident Advisor which has done a strong report during the last summer, and gave them the opportunity to upload a mix made by… C-Beams. Their live/dj sets (Sebastian plays records on the decks, and Stefan improvises melodies and stuff on his synths) reflect the magic of their own prods : warm, deep, mellow, romantic, sweet, and attractive sound. I’ve filmed one of their set in September in Berlin, at Cookies club. 2 X 15min of cool, warm vibes with a lot of energy, light melodies and great live arrangements (specially on the Rob’ Hood track on the first video). Enjoy !